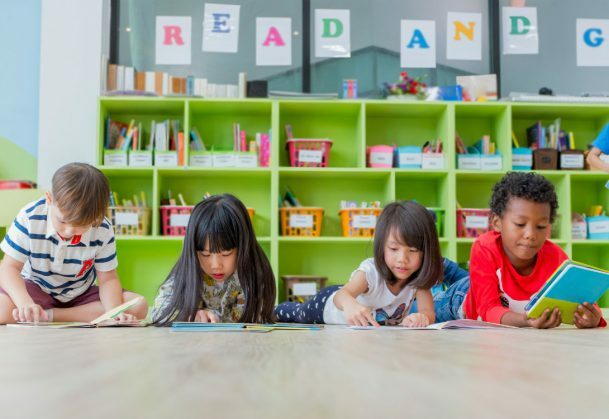 A new scientific report from an international team of psychological researchers aims to resolve the so-called “reading wars,” emphasizing the importance of teaching phonics in establishing fundamental reading skills in early childhood. The report, published in in Psychological Science in the Public Interest, a journal of the Association for Psychological Science, shows how early phonics skills are advanced with a rich reading curriculum throughout the school years. Scientists Anne Castles (Macquarie University), Kathleen Rastle (Royal Holloway University of London), and Kate Nation (University of Oxford) report their conclusions as part of a thorough, evidence-based account of how children learn to read. They synthesize findings from more than 300 research studies, book chapters, and academic journal articles published across a variety of scientific fields. For several decades, the “reading wars” have been waged between teachers, parents, and policymakers who champion a phonics-based approach (teaching children the sounds that letters make) and those who support a “whole-language” approach (focused on children discovering meaning in a literacy-rich environment). To acquire sophisticated literacy skills, for example, children must progress from identifying individual sounds to recognizing whole words. They must also be able to pull forth the meaning of different words quickly within a particular context in order to comprehend a whole unit of text, whether it’s a sentence, a paragraph, or an entire page. Although teachers, parents, and policymakers recognize literacy as an essential skill that all children should learn, existing policies and practices often fail to incorporate the most effective strategies for learning and teaching reading. As a result, low literacy remains a pressing issue in developed and developing nations around the world. In a commentary accompanying the report, psychological scientist Rebecca Treiman (Washington University in St. Louis) dismantles two common misconceptions that often stymy evidence-based approaches to reading instruction: that reading to children teaches them how to read and that children learn to read though independent discovery. The new report provides critical insight, Treiman says, because it highlights the specific processes by which early phonics instruction allows children to gain understanding and reading experience over time. The report was supported by the Australian Research Council Centre of Excellence in Cognition and its Disorders, the Economic and Social Research Council, and The Leverhulme Trust. It has always amazed me how political the reading wars have been all these years. Words are made up of sounds represented by letters. Once a child knows the code, s/he is empowered to read. In Delaware, Reading ASSIST has been unlocking the written word for children for 40 years. Thanks for debunking the “either or ..” argument. I should hope that the goal of all reading instruction is for readers of all ages to grow into readers who want to read and enjoy doing so! How or where can I obtain written info to present to a group of educators…to encourage the use of the different methods …The Scienceof Teaching Children to Read … & Teaching reading English to Nonenglish speaking adults?